Whether you're looking for a simple integration or an additional feature on one of our existing systems, or you're looking for a completely new system to be planned, designed and developed, AIRDAT has the in-house expertise to deliver, whether it's web, desktop or mobile applications. 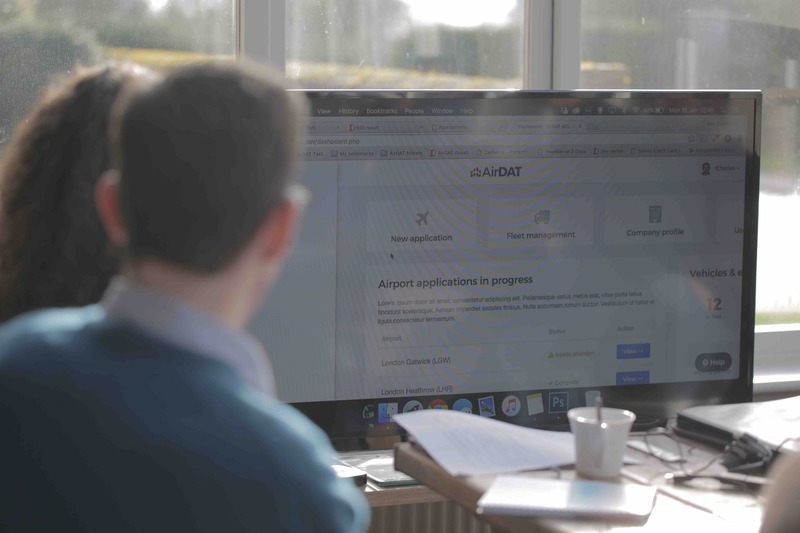 We have built digital solutions for some of the most prominent aviation companies and airports in the world, delivering both in the UK and abroad. Our Agile development team will take your ideas from concept to delivery, with our project managers helping with the implementation phase too. Add to this our industry knowledge and you have a company that you can place your trust in. Aviation IS different. There are quirks in this industry that the average high street digital agency will not be aware of. Making the right decisions on how things should work means knowing the target audience and the processes VERY well. We work using Agile methodology. It is the industry standard for any company that aims for continuous integration of their products. It means we are able to work more effectively and can provide you with more accurate deliverables. Our design teams will create profiles, goals and flows, conduct user interviews and build multiple concepts for split testing until they find the very best solution to the challenge your team are facing... before a single line of code is written. All AIRDAT solutions are built on cloud infrastructure. Amazon Web Services to be exact. The largest, most dependable cloud infrastructure supplier in the world. It means high resilience, globally accessible hosting for your application, whatever the demand is. Our development team hold a varied range of skills and we continually invest in updating that knowledge. This means that we develop solutions choosing the RIGHT technologies, rather than trying to apply a solution to a specific technology. Because we know the industry, we have the designers, the web and mobile developers, the hosting experts, the project managers that can implement, the 24hr support team and a billing team - we can support your solution from start to finish. Need a bespoke digital solution? Whether it's desktop, web or mobile, our team has the skills, expertise and experience to deliver your solution.